From Gilly Macmillan, the international bestselling and Edgar Award nominated author of What She Knew, comes this whip-smart, addictive, and harrowing novel of psychological suspense—perfect for fans of Paula Hawkins and Kimberly McCreight. I wasn’t certain, at first, if I would enjoy this book. For some reason, the rapidly changing points of view were jarring at first, even though I often read novels with similar styles. I put the novel away for a few days, then picked it up again, and found myself absorbed in it from the (re)start. Sometimes you have to meet a book at the right time. 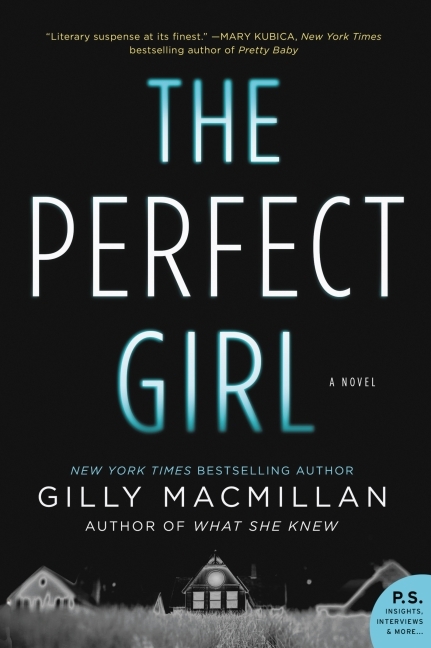 Author Gilly Macmillan has given us, in The Perfect Girl a practically perfect story. The characters – Zoe, Tessa, Sam, Richard – everyone – are interesting and dimensional, and the choice to alternate first-person points of view is both bold and deftly handled. Each character has a distinct personality, a specific voice, and they are never muddled or muddied (though only three actually have their POVs presented). The plot of this novel is also near-perfect. As we learn about Zoe’s mother’s death, we also learn about Zoe’s past (an incident that occurred when she was fourteen) and the relationships between the people without her. It’s as much human drama as it is mystery or thriller, and I found myself equally interested in every aspect of the story. What I really liked was that the entire story took place over one 24-hour period, and while there was a lot going on, it never felt implausible or too compressed. Bottom line: If you want a really great story that’s a little bit thriller and a little bit drama, this is the novel for you. Goes well with a curry and the lager of your choice. 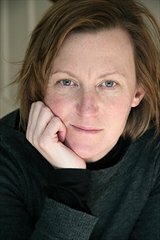 Review: The Perfect Girl by Gilly Macmillan by Melissa Bartell is licensed under a Creative Commons Attribution-NonCommercial-ShareAlike 4.0 International License. Wow, I didn’t realize that this story all takes place within one day … that’s impressive!